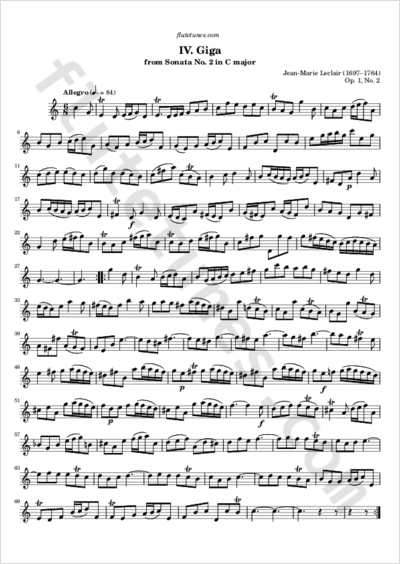 This gigue is the fourth and final movement of French Baroque composer Jean-Marie Leclair's Sonata for violin or flute and continuo in C major, Op. 1 No. 2. The first edition of this sonata was published in Paris around 1723.